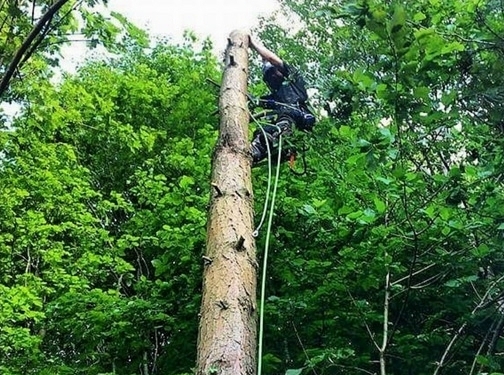 We are Tree Surgeons in Eccles, covering Greater Manchester, Cheshire, Merseyside and Lancashire. We are friendly, reliable and most importantly affordable. We take pride in completing our work to the highest standards, we are always striving for excellence. We are fully insured and competitively priced, so you can be rest assured that you are getting the best price possible for the job. We will quickly respond to any contact made to us! Why Trust Bridgewater Tree Services? We are City & Guilds NPTC qualified to the highest possible standards. We always complete what was quoted, the area where we have worked will be left clean and tidy. We recycle what we chop down. We will try to and beat any price quoted. Our staff are always happy to help, polite and well humoured. UK (Manchester) based business providing tree surgery services. Website includes details of services provided, work examples, testimonials, certifications gained, associations, blog, full contact details.